REDUCED!! 21 ACRES BORDERING THE NATIONAL FOREST!! 10% DOWN AND YOU CAN PURCHASE THIS PROPERTY!! THE OWNER WILL FINANCE!! GREAT PROPERTY FOR YOUR SECLUDED GET AWAY WITH UN-DEVELOPED SPRING ON IT! 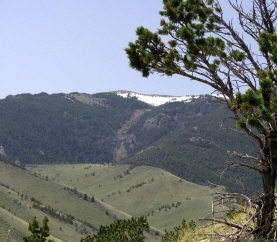 THIS HIGH MOUNTAIN PROPERTY IS ON THE FLANKS OF THE BEARTOOTH MOUNTAINS WITH NOTHING BUT PUBLIC LAND FOR 60 MILES TO THE WEST!! AND THEN YOU ARE WHERE YELLOWSTONE PARK BEGINS!! Very Steep, pine trees on the slope, nice pasture along the bottom. It is about 11 miles from the Clark's Fork of the Yellowstone River and the state highway. 65 miles south of Billings and about 45 miles north of Cody, Wyoming. If you love peace and quite, or love to hunt, or maybe just want your own piece of the Big Sky country, this property may be for you!! Call today for more details. Priced to move at $72,500!! National Forest for your backyard!! OWNER FINANCING AVAILABLE ON APPROVED CREDIT WITH ONLY 10% DOWN plus closing costs!! BORDERS THE NATIONAL FOREST!! This parcel has a great southern exposure where the road ends, with some scattered pine trees and great views. For those wishing to live off the grid, it has a nice south facing slope as well for solar energy!